There is one race left in the round of 12 of NASCAR’s playoffs, and with Martin Truex Jr. on the bubble he has to be thrilled where the drivers are headed. 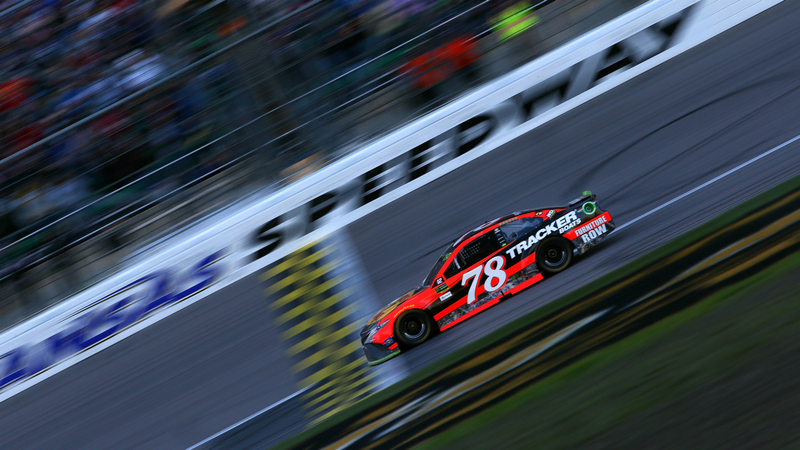 Truex has won two of the last three races at Kansas Speedway and he finished second there earlier this year. He currently sits in eighth place and a win would lock him up a spot in the playoff’s round of eight. As good as Truex has been in the past at Kansas Speedway and at intermediate tracks in general, this week’s race looks to be pretty predictable. In eight 1.5-mile tracks this season, Truex (1), Kyle Busch (3) and Kevin Harvick (3) have combined for seven wins. They won all of their regular season races on said tracks. Our pick to win this week will be Truex, as he has had a good car in recent races and is primed for his third win in four trips to Kansas. The Hollywood Casino 400 is scheduled for 2:30 p.m. ET Sunday and can be watched on NBC. What are the betting odds for Kansas? Which NASCAR drivers are best for your fantasy lineup at Kansas? Joey Logano has two career wins at Kansas Speedway, but more importantly he has finished in the top 10 in seven of his last 10 trips to the intermediate track. He also has seven top 10s in eight 1.5-mile races this season. Kurt Busch has never won in Kansas, but he has five top 10s in his last seven tries and finished eighth there in the first race this season. Busch has also registered five top-eight finishes in eight 1.5-mile races in 2018. If it hadn’t been for a wreck with Kyle Larson in the final laps at Kansas in May, Ryan Blaney very well may have won the race. He has never won on the track, but he has four top-seven finishes in seven races there. He also is coming off of a win two races ago and has finished in the top 11 in four of his last six times on the track. Erik Jones has been eliminated from playoff contention, but he has been good on intermediate tracks all year. The 22-year-old has five top-10 finishes in eight 1.5-mile races this season including a seventh place in Kansas. He has been a bit iffy on the track though with his May top 10 being his only one in four career races there.